St. Peter’s greeted me twice, and I was blessed both times by the simplicity and the grandeur of such an intricate and intimate place. Such a hush came over the place between times of raucous laughter and rambling tour guides. 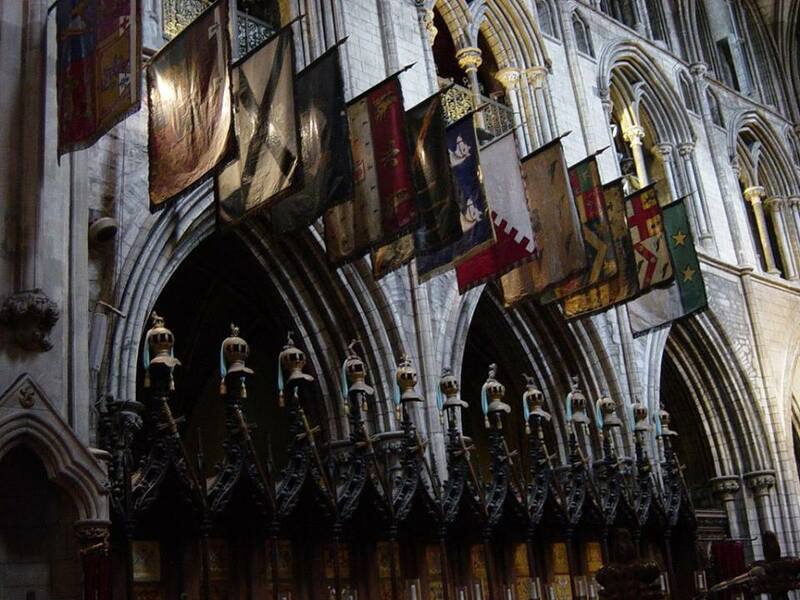 It was in those times of quiet that I found the true beauty of such an Irish treasure, from the armor on the walls to the flags paying homage to its history. I sat in the tiny chairs and dwarfed each one, but I was entranced by the historical significance of it all. Swift’s tomb called out to me. The kneeling quilts beckoned me near. But nothing moved me quite as much as the sunlight through the stained glass, casting shadows on the floor, and on all of us blessed enough to be standing under the mantle of god.